Who should not take Protriptyline HCL? Read the Medication Guide provided by your pharmacist before you start taking protriptyline and each time you get a refill. If you have any questions, consult your doctor or pharmacist. Take this medication by mouth, usually 1 to 4 times daily or as directed by your doctor. The dosage is based on your medical condition and response to treatment. To reduce your risk of side effects (such as dry mouth, anxiety, dizziness), your doctor may direct you to start this medication at a low dose and gradually increase your dose. Follow your doctor's instructions carefully. Tell your doctor right away if any of these rare but seriouspersistent heartburn, mental/mood changes (such as anxiety, agitation, confusion), shaking, mask-like facial expressions, muscle spasms, severe stomach/abdominal pain, decreased sexual ability/desire, enlarged/painful breasts. Get medical help right away if you have any very serious side effects, including: slow/fast/irregular heartbeat, seizures, eye pain/swelling/redness, widened pupils, vision changes (such as seeing rainbows around lights at night). List Protriptyline HCL side effects by likelihood and severity. Before taking protriptyline, tell your doctor or pharmacist if you are allergic to it; or to other tricyclic antidepressants (such as nortriptyline); or if you have any other allergies. This product may contain inactive ingredients, which can cause allergic reactions or other problems. Talk to your pharmacist for more details. Before using this medication, tell your doctor or pharmacist your medical history, especially of: breathing problems, liver problems, heart problems (such as recent heart attack), problems urinating (such as due to enlarged prostate), overactive thyroid (hyperthyroidism), personal or family history of glaucoma (angle-closure type), personal or family history of mental/mood conditions (such as bipolar disorder, psychosis), family history of suicide, seizures, conditions that may increase your risk of seizures (such as other brain disease, alcohol withdrawal). Older adults may be more sensitive to the side effects of this drug, especially dry mouth, dizziness, confusion, and difficulty urinating. It is unknown if this drug passes into breast milk, but it may have undesirable effects on a nursing infant. Consult your doctor before breast-feeding. What should I know regarding pregnancy, nursing and administering Protriptyline HCL to children or the elderly? Some products that may interact with this drug include: arbutamine, cisapride, thyroid supplements, anticholinergic drugs (such as benztropine, belladonna alkaloids), certain drugs for high blood pressure (drugs that work in the brain such as clonidine, guanabenz, reserpine). Other medications can affect the removal of protriptyline from your body, thereby affecting how protriptyline works. These drugs include cimetidine, terbinafine, drugs to treat irregular heart rate (such as quinidine/propafenone/flecainide), antidepressants (such as SSRIs including paroxetine/fluoxetine/fluvoxamine). This is not a complete list. Laboratory and/or medical tests (such as EKG, liver tests) may be performed from time to time to monitor your progress or check for side effects. Keep all medical appointments. Consult your doctor for more details. 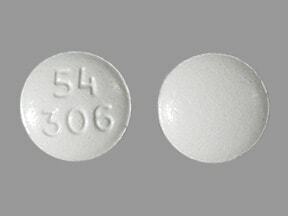 This medicine is a white, round, tablet imprinted with "54 306". 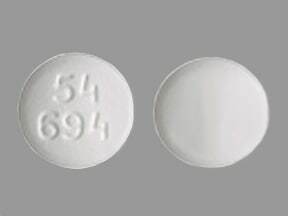 This medicine is a white, round, tablet imprinted with "54 694". 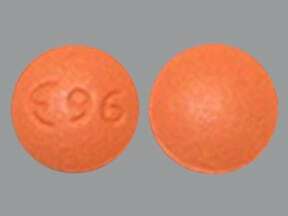 This medicine is a dark orange, round, film-coated, tablet imprinted with "logo and 96". 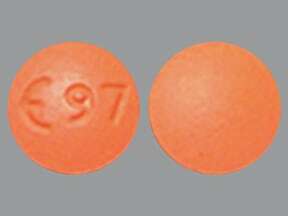 This medicine is a light orange, round, film-coated, tablet imprinted with "logo and 97". 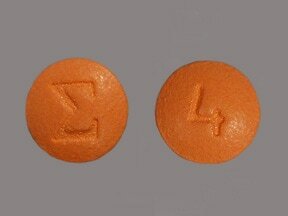 This medicine is a orange, round, film-coated, tablet imprinted with "logo" and "4". 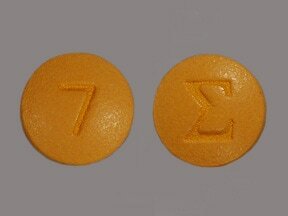 This medicine is a yellow, round, film-coated, tablet imprinted with "logo" and "7". Are you taking Protriptyline HCL? Are you considering switching to Protriptyline HCL? How long have you been taking Protriptyline HCL?